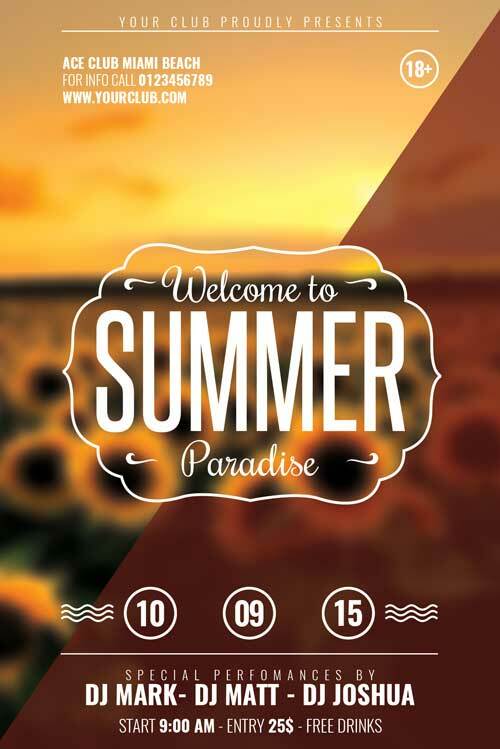 FREE Summer Flyer Template PSD designed to advertise a summer event in your night club / pub / bar. Nevertheless the design offers the possibility to write a lot of information :since this is a typographical flyer, then you have bunch of space to write all the information. The background consists of a blurred sunflowers field picture. 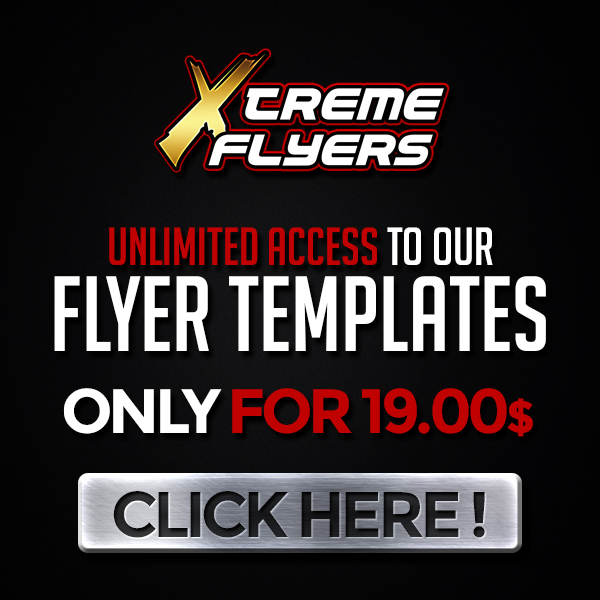 All the elements of this flyer are included and are arranged on separate layers. All the elements of this flyer are arranged on separate layers and are included. What you see is what you get! Thanks for your feedback Kevin, enjoy it ! Hi Marta, did you try to use WinRar to open it ? Please let me know, because it happens sometimes that the file gets corrupted and I have to reupload it again. I checked the issue and it looks like Dropbox corrupted the file. I reuploaded it yesterday, try to download it again and let me know.